How The Hell Does A Stock Focus RS Nearly Beat A GT350 In A Drag Race? Is this a sign that Ford is too far overdue for a Mustang GT350 replacement? In continuation of a series of depressing drag races, which began with a stock Chrysler Pacifica beating a Toyota GT86 in a straight line, we bring to you this race between a Ford Mustang GT350 and a Ford Focus RS. Both cars are two of our favorites from the Blue Oval, with our own test of the GT350 having concluded with us brandishing smiles the size of Flat Rock. Both are also performance cars, but it should be clear which holds more credibility to enthusiasts. 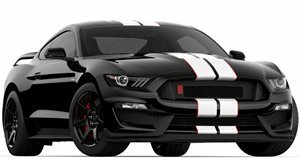 With 526 horsepower, a high-revving flat-plane crank V8 with 5.2-liters of displacement, and a reworked suspension and frame, the GT350 is at home both on the race track or on the drag strip. 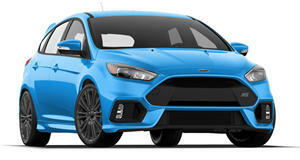 However, the 350 horsepower that makes it to all four wheels on the Focus RS means the smaller car is no dud either. That becomes painfully clear when the Focus comes within a spitting distance of the Mustang GT350's quarter mile time on the drag strip. With a time of 13.17 seconds at 106.77 mph, it hardly keeps its edge over the Focus RS, which crosses the same line at 13.41 seconds at 104.4 mph. That’s only 0.24 seconds of difference, begging the question: is all-wheel drive really enough to get that close to a car with rear-wheel drive and 176 extra horsepower? The answer lies in the gearbox. While both cars have a six-speed manual, the driver in the Mustang seems to lack the practice to pull off the 12.2 second quarter mile the GT350 is capable of. Remember, a car is only as good as the driver piloting it.